TB Skin Testing (Mantoux Method) is available. It includes interpretation of the test within 72 hours and documentation of the results. Lately, tuberculosis (TB) has made a comeback. Last year there were more than 4,500 new cases of TB disease in New York State, and there are new strains of TB that are hard to treat. Below are the answers to some common questions about this condition. TB is caused by bacteria that usually infect the lungs, but it can affect other parts of the body, too such as the brain, the kidneys, or the spine. What are the symptoms of TB? What is the test for TB? There is a simple skin test. A positive test means that person MAY HAVE been infected with TB. More tests are needed to see if a person has TB disease. What is the difference between TB infection and TB disease? People with TB infection test positive on their skin test for TB but they are not sick, and they cannot spread the disease to anyone else. Only people sick with TB disease can spread it to others. People with HIV (the virus that causes AIDS). All people at risk for TB should be tested. The test is available through doctors and local health departments. TB is spread in the air. TB gets in the air when a person who has TB disease coughs, sneezes or speaks. Anyone who is around a person with TB disease can become infected, but usually it takes days of close contact. You cannot get TB by touching things like furniture, dishes, stair railings, etc., that have been handled by someone with TB disease. You, also, cannot get TB from a person with TB infection. What is the treatment for TB? Doctors can prevent a person with TB infection from getting TB disease with medication that must be taken for 6 to 12 months. People with TB disease are given at least two drugs - also for 6 to 12 months. What is the new strain of TB? A few patients with TB disease do not respond to normal treatment. This kind of TB is called multiple-drug-resistant TB (MDR TB). For MDR TB, doctors try several combinations of drugs. If they are unable to find the right combination, the patient may die. In summary, untreated TB can be a fatal disease, but TB is almost always treatable.Unless you are in one of the risk groups, TB probably is not a threat to you. However, if you think you are at risk or if you have any reason to be concerned, talk to your doctor or local health department. 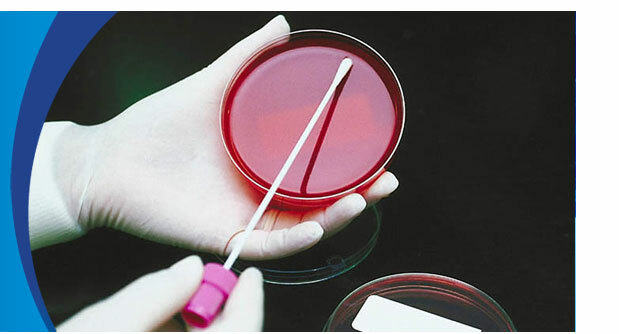 Quantiferon TB blood test is done for those who have a history of false positive TB skin test. TB blood test is useful in detecting latent TB (persons who carry TB but don’t have active disease) Test must be done in one of our offices due to special collection guidelines.